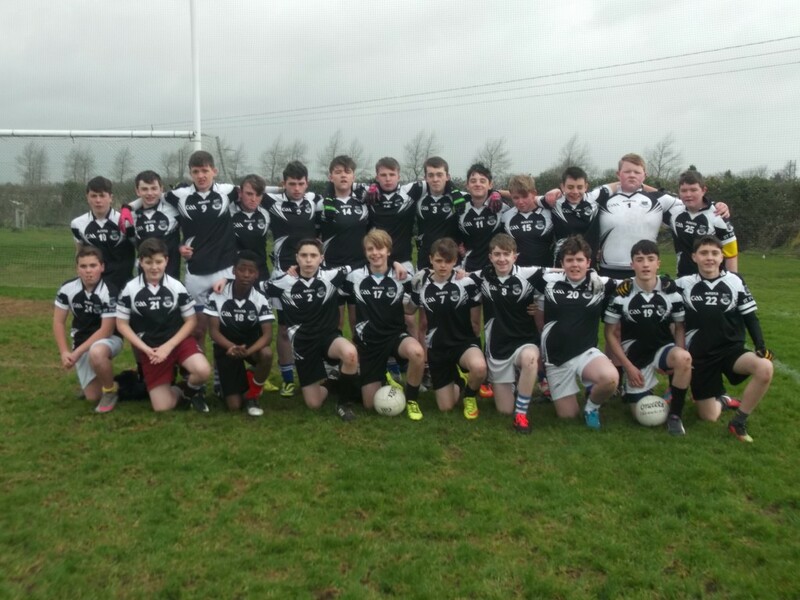 St. Paul’s 1st year gaelic footballers participated in a Leinster schools blitz on Wednesday 21st of April. The matches were played in Hawkfield in perfect conditions and St. Paul’s were drawn in a highly competitive group with Athy CC and Naas community school. There was very little to separate each team in the group and our u14 footballers can hold their heads high after drawing their first game and losing by the smallest of bargains for their last game against Naas CC. 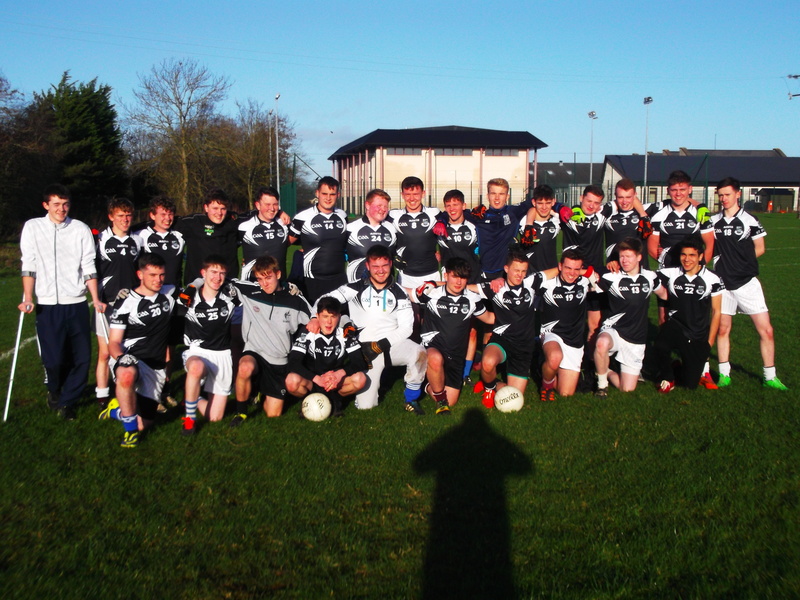 With Johnny Doyle keeping a close eye on proceedings, everyone was keen to impress and on the day Darragh Perry, Conor Lonergan, Ciaran Byrne and Dylan Keane were particularly impressive for St. Pauls. Well done to all involved. It was a disappointing week for our u16 and u18 gaelic football teams. After a successful pre-season of pitch work and circuit training, there was high hopes for both teams. However, in difficult weather conditions both teams ended up on the wrong side of results this week. each and St. Pauls looked to be comfortably in the game. This was to be the highlight of the game as Cross & Passion competed much better in the adverse weather conditions. Our u16s gradually lost control of the game and 2 quick goals in succession for Cross & Passion set the foundation for a comfortable victory for our opposition. The players can take great heart for the way they fought tooth and nail right up until the final whistle even when a potential victory was not achievable late in to the second half. Cross & Passion will fancy themselves to advance far in to the competition and on the day the best team won. It was the turn of our u18s to take the field the following day. This team on paper looked to be a formidable outfit and they certainly proved this on the field particularly in the opening half of there game against St. Farnan’s of Prosperous. Against horrendous weather conditions and on a difficult playing surface St. Pauls can hold there heads high for the way they conducted themselves on this particular occasion. Led by senior players Sean Kavanagh, Steven McNally, Adam Forde and Ryan Bannon we entered the half time break 2 points up playing against a difficult wind. The second half began brightly and St. Pauls found themselves 4 points up and fully in control of the game. 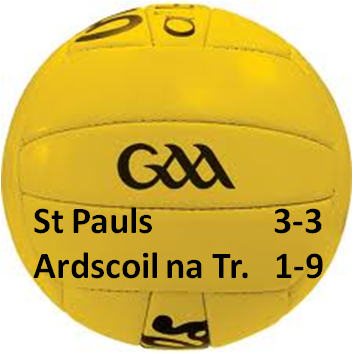 With Shane Lynch and Denis Donoher converting 2 opportunist goals it looked like this day was going to be St. Pauls day. However, we were up against a quality team who were playing off the back of winning the u16 Leinster championship last year. They scored 3 outstanding goals in quick succession, which our goal keeper had no chance of stopping and from this they held on to a victory. This was a disappointing way to finish the year, especially when victory was within our grasp. Days like these will stand to our teams and we will be back stronger next year to compete for another title challenge. Thanks to all the players who gave a big commitment all year and hopefully our fortunes will improve next year. 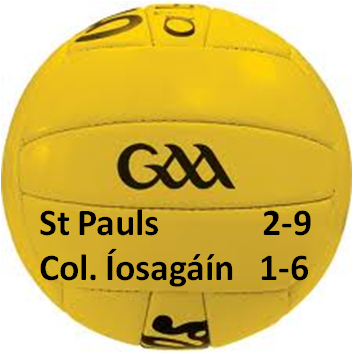 Last Thursday saw a superb victory for the Ladies Senior football against Gaelscoil Cill Dara. In tough, wet conditions the girls proved their strengths with a 14-9 to 1-1 victory. Well done to all players involved and all who scored on the day. A special mention to Laura Cleary who scored for the first time! Well done girls. Next week Friday the 13thNovember the girls will face Piper’s Hill. Best of luck! This was the U14 boys first football match. The ball was thrown in and straight away Conor Lonergan and Ciaran Byrne were working with the forwards to try and get the first score. After settling down with St Pauls getting a few points, Coláiste Íosagáin got a few scoring chances and took them, followed by a goal just before half-time. A few good blockdowns and saves by Eoghan Connolly, Denis Collins, Darragh Talbot, John Joe Fenlon Connell and Darragh Perry meant the score at half time was 1-3 to 0-4 in St Paul’s favour. The 2nd half started with good work from Adrian Tynan, Dylan Keane, Andrew Murphy, followed by Jay Naughton Keogh scoring our first goal. After slotting over a few more points, Conor Lonergan scored our 2nd goal. The great work done by Sean McDonald, Pauric Foley, Sean Culleton and the rest of the back line limited Coláiste Íosagáin to just 3 points in the 2nd half. After a quick break, we had our 2nd match. 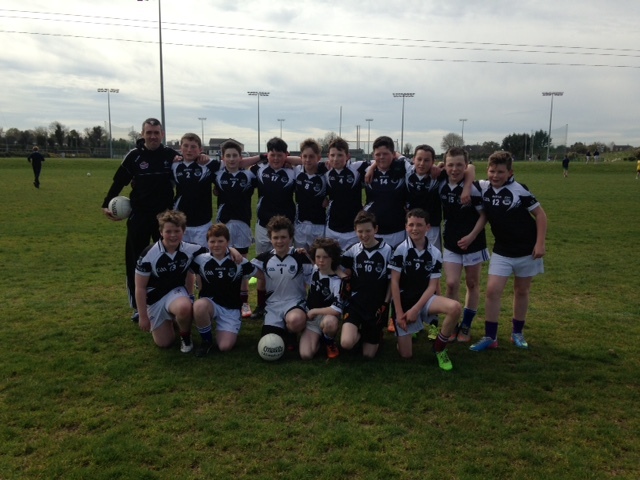 It was a slow start for us compared to our first match and Ardscoil scored 5 unanswered points. However out of nowhere, Sean Culleton scored a cracker of a goal and now we had found our rhythm. Sean Fitzgerald followed with a well taken point. We were stronger in the 2nd half. After a few points were exchanged, Jay Naughton Keogh scored 2 goals in the space of 5 minutes. For the remainder of the match we were not in it, but our back line and Dylan Keane and Ciaran Byrne kept going up and down the wings keeping Ardscoil’s scoring down to 1-4. After a tense last few minutes, the match ended in a draw.